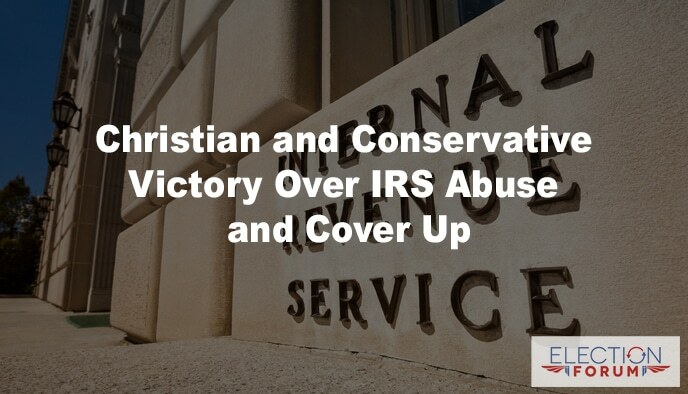 The IRS discriminated against Christian and conservative organizations under President Obama. More than 400 groups were illegally targeted by the politicized bureaucrats. But two lawsuits were filed, refusing to accept the “Deep State” cover up. The IRS agreed to a formal apology for illegally singling out groups due to political beliefs dating back to 2013. The other settlement was a multi-million-dollar payout to the Tea Party. Unfortunately, this does not erase the harm and injustice done of a government bureaucracy politicized and targeting political opponents of the opposition party, conservative and Christian organizations. But any victory over the “deep state,” is a victory for freedom and America.